Virtual World Services is a persistent, computer based, simulated 3-D environment in which real people, using avatars, are able to interact in meaningful ways with each other and the virtual environment. We currently offer Anger Management, Treatment Services, Drug Court, DWI, and SEYA (Substance Education for Young Adults). 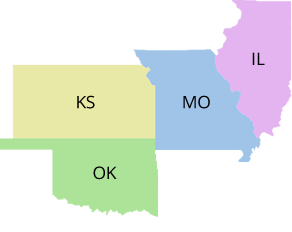 Beginning in 2008 Preferred Family Healthcare began utilizing Virtual World Counseling with adolescents who were leaving residential care for substance abuse treatment and returning to rural areas in the State of Missouri, where available outpatient services and transportation were barriers. Over the last 5 years Virtual World Counseling has expanded with over $3 million dollars in State, Federal grants, and some sustained funding. 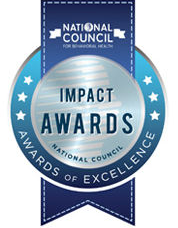 Preferred Family Healthcare's Virtual World Services program is very proud to have been awarded the 2015 Excellence in Addictions Treatment Innovation Award from the National Council for Behavioral Health. Virtual World Counseling has given our consumers access to much needed services in an area where there are no treatment options, and they have responded in a manner that is above all expectations. On March 11th, 2014 NFAR-ATTC's Project Manager, Terra Hamblin, conducted an interview with Kathy Hoppe and Jared Torbet from Preferred Family Healthcare on using avatars to interact with clients through a virtual 3-D environment. This podcast highlights the functionality, technical and security issues, and therapeutic tools of virtual environments. Telehealth Tuesdays is a series of media events on using telehealth technologies to deliver substance use disorder treatment and recovery services. When I first heard that virtual counseling would be part of our programming I wondered if the participants would take it seriously and open up in counseling sessions. After clients get used to the mechanics of the virtual world they have been comfortable sharing. Some are more comfortable than in traditional counseling which has assisted them in progressing faster by combining both therapies.